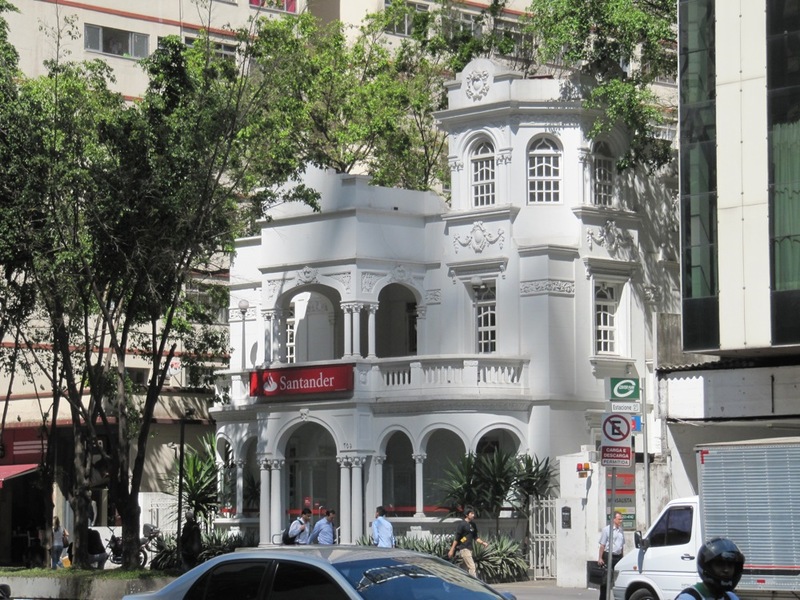 Just when I thought I had hung up my traveling boots for the foreseeable future, work took me somewhere I didn’t expect to go for quite a while: Brazil. While I’ve always dreamed of checking out Rio and the Iguazu Falls, Brazil is a tough place to visit: not only is it a long, expensive fight away, but getting a visa to Brazil is quite a hassle* (and also expensive). 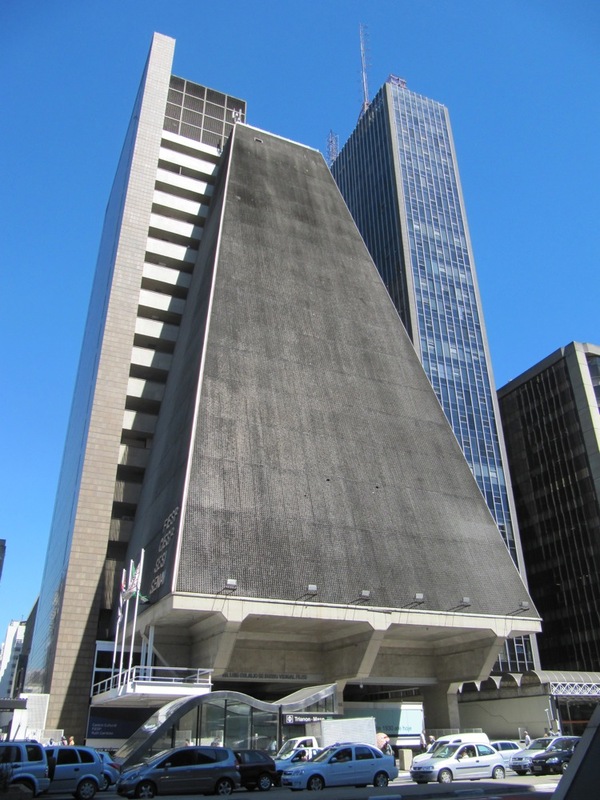 São Paulo, city of endless skyscrapers and helicopters. 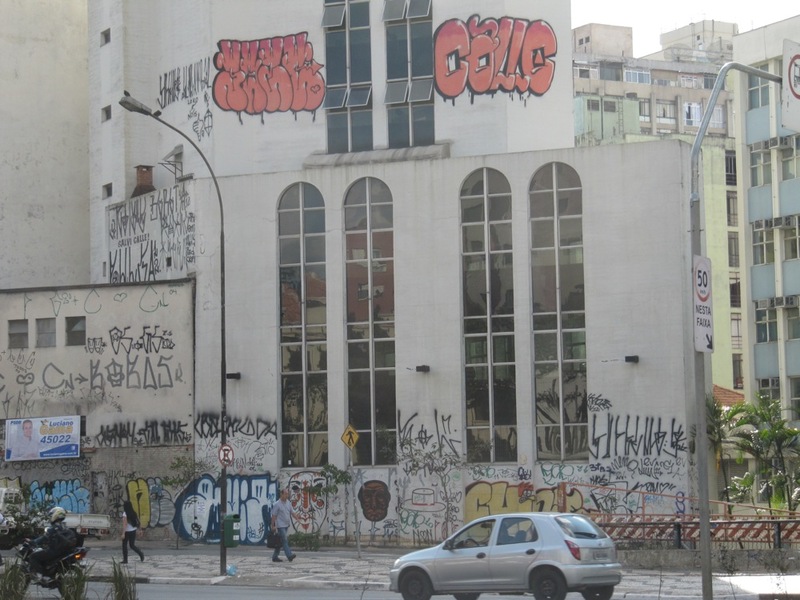 I learned after arriving that I’ve been pronouncing the “São” part of the city incorrectly my whole life. Apparently São sounds something like “sound” without the d, spoken quickly. Of course, I spent almost all of my time there working. But that still left a day for me to wander around on my own and take everything in. 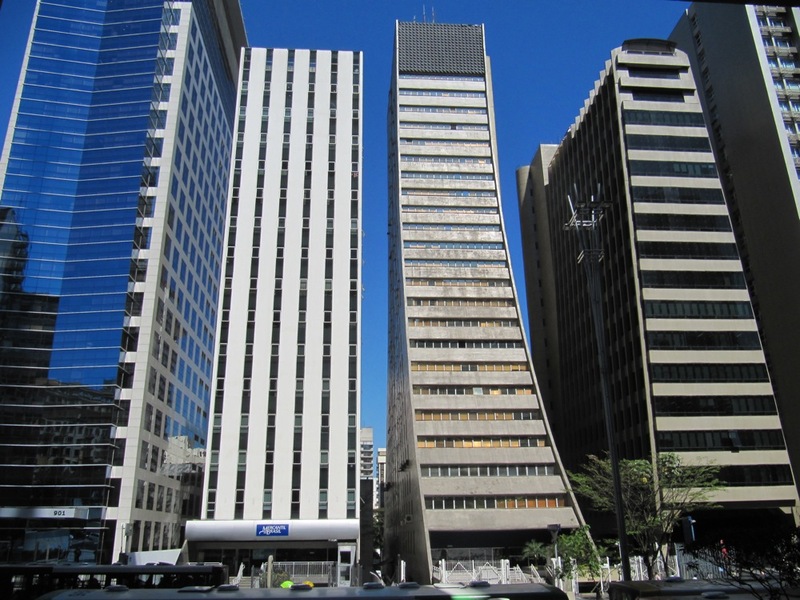 Paulista is São Paulo’s most prominent street. A true urban canyon with nonstop hustle-bustle, it feels a lot like New York. 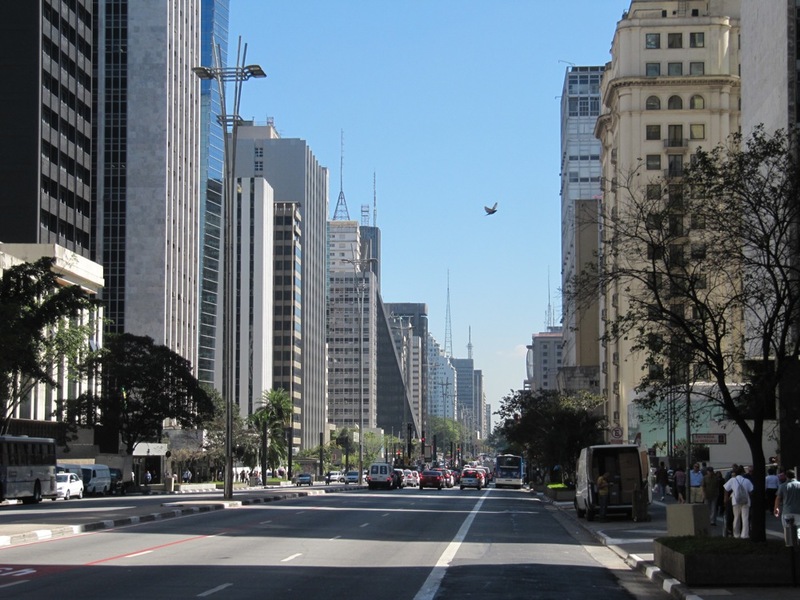 With roughly 20 million people, São Paulo is one of the 10 largest cities in the world. 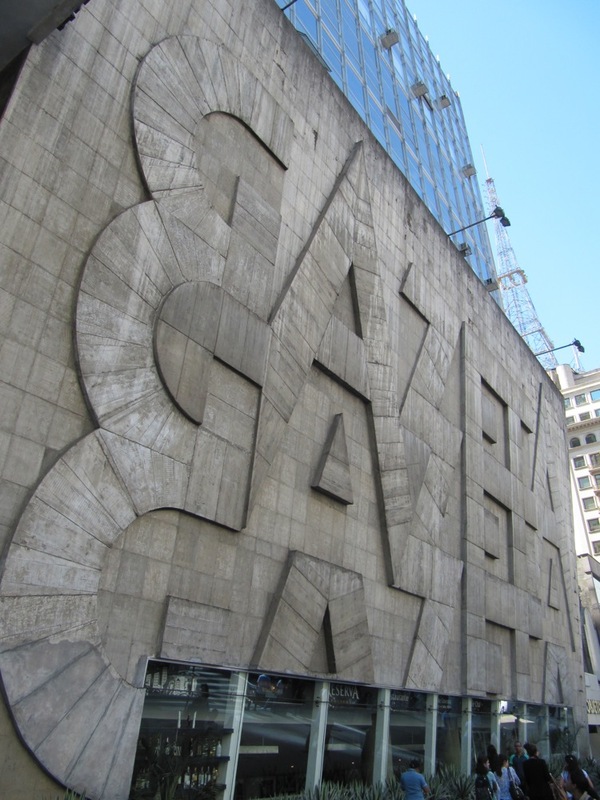 After Mexico City, it’s the largest in Latin America. 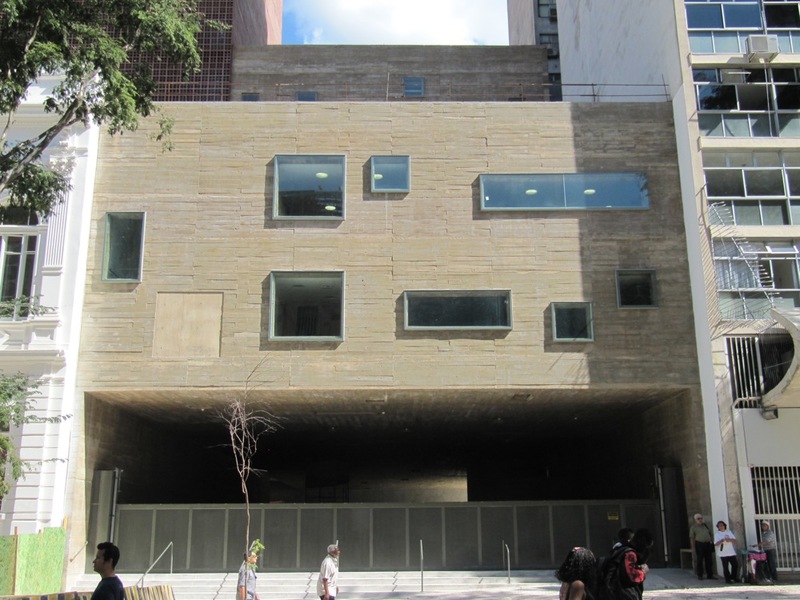 Paulista is a trove of modern architecture. 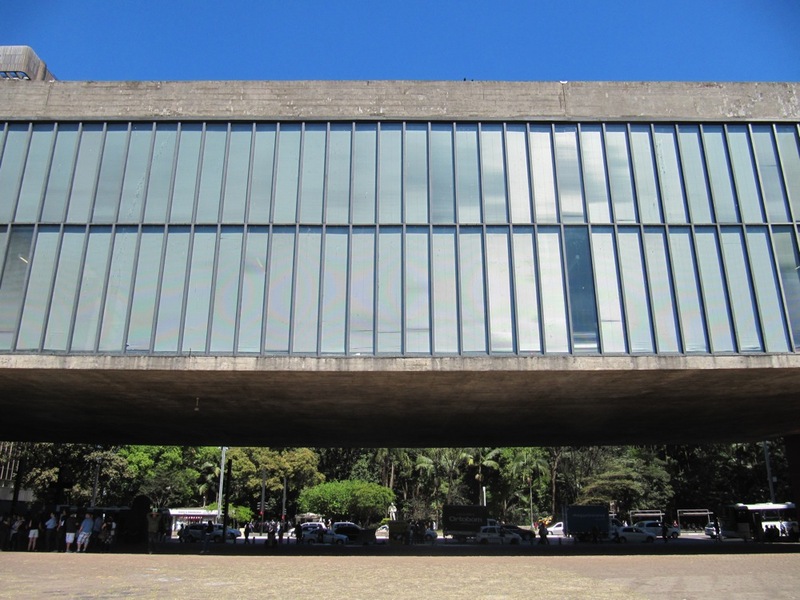 São Paulo’s Art Museum is a fascinating building. It’s about 250 long, and supported by only four columns. 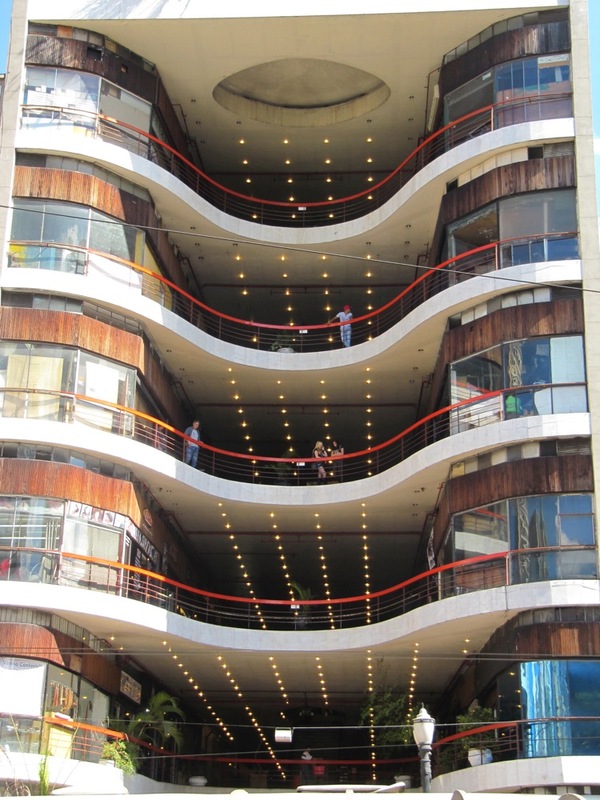 Paulista is a couple miles from the historic center and was once a rich suburb, so most of the high rise architecture is newer. But the road’s stately past peeks through from time to time. 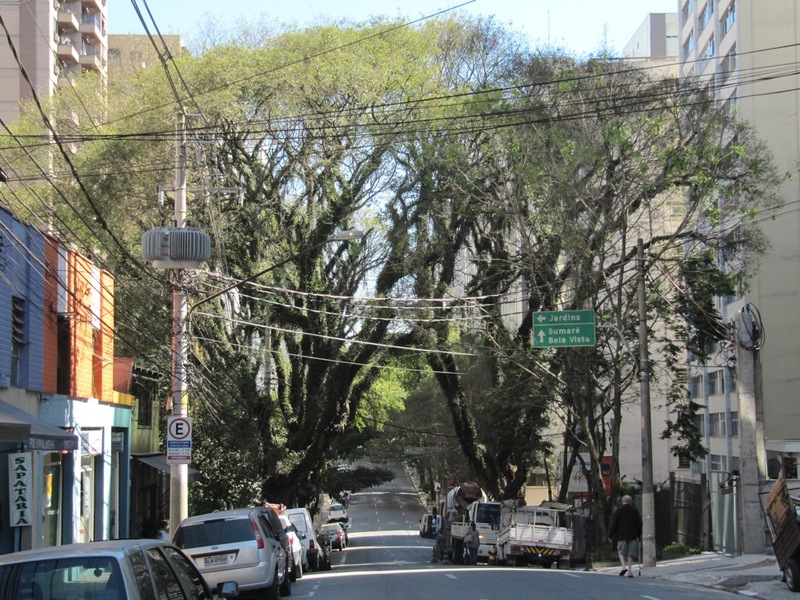 Traveling to São Paulo in the winter was no problem. It was about 75 degrees and sunny the whole time–can’t complain about that. 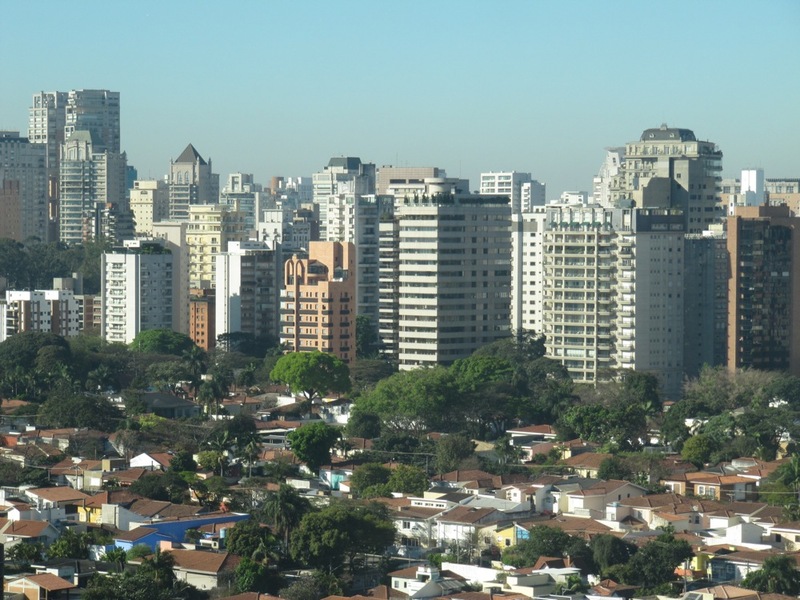 Despite being close to the sea, São Paulo is situated on a plateau, at about 2,500 feet in elevation. 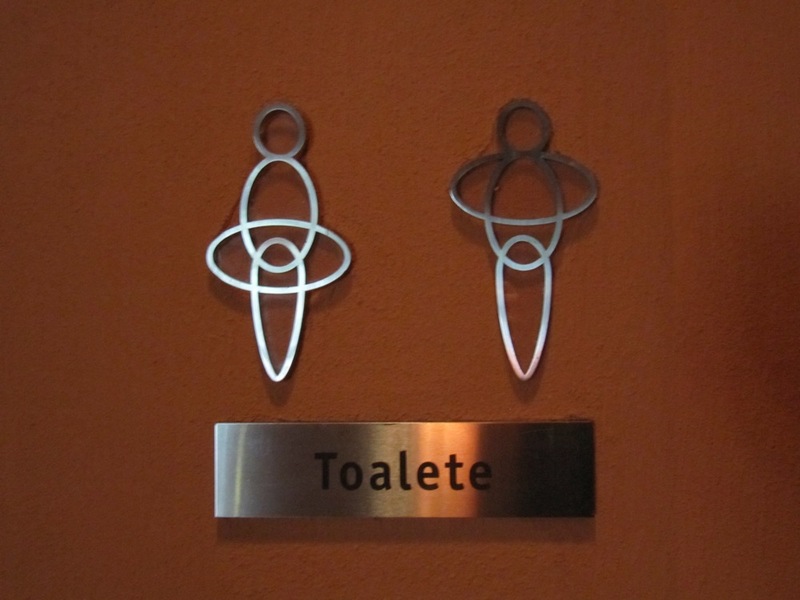 Gotta love the ambiguous bathroom gender signs. 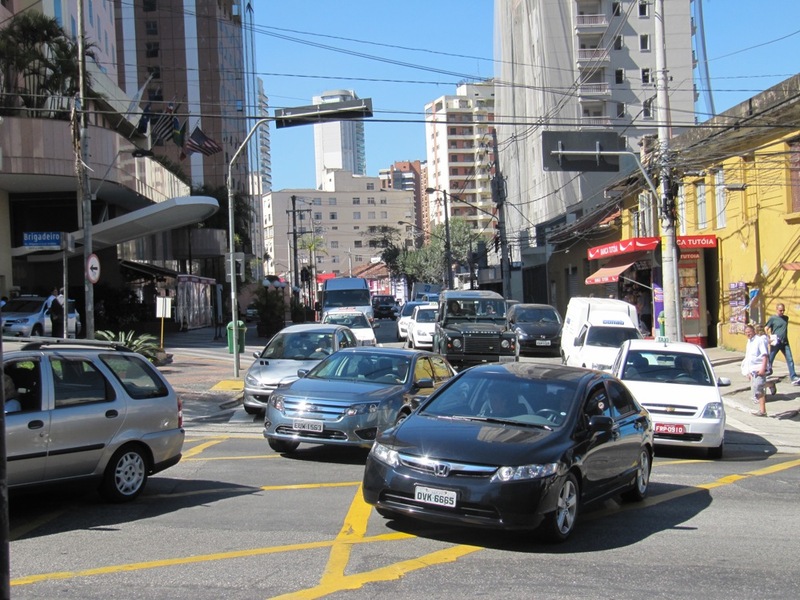 One curiosity about Brazilians is that they don’t like colorful cars. You might see a red car every once in a while, but that’s as colorful as it gets. Everything else is neutral. 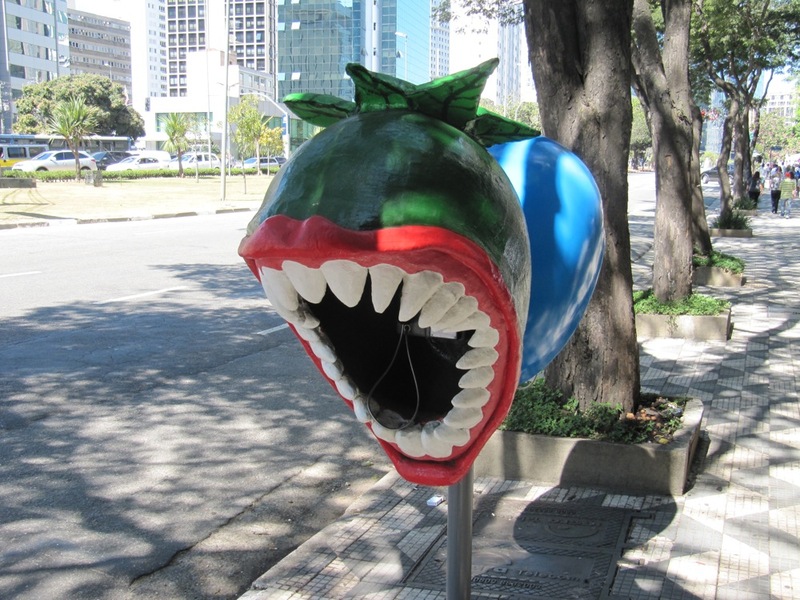 Brazilians have awesome design sensibility. 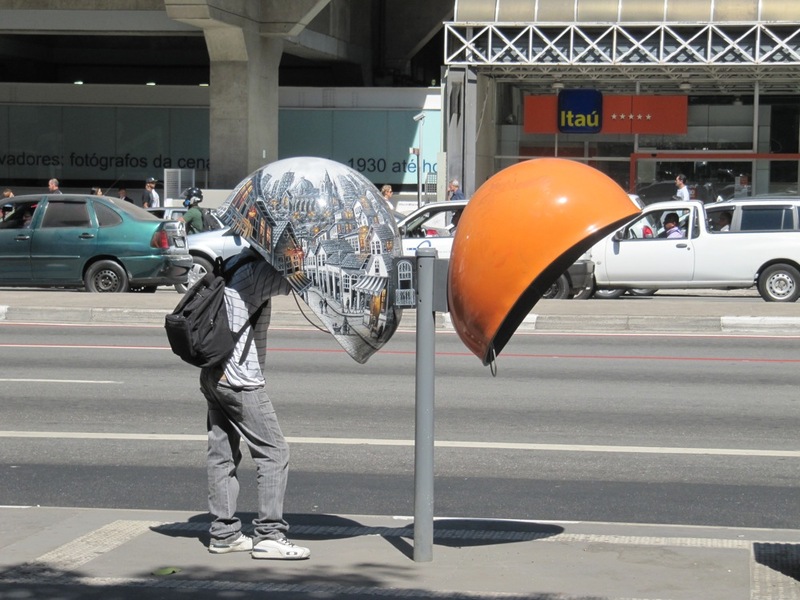 These dome-shaped phone booths are all over the city, and many of them have been decorated in wild, artistic ways. I decided to take the long walk over to this historic part of town. 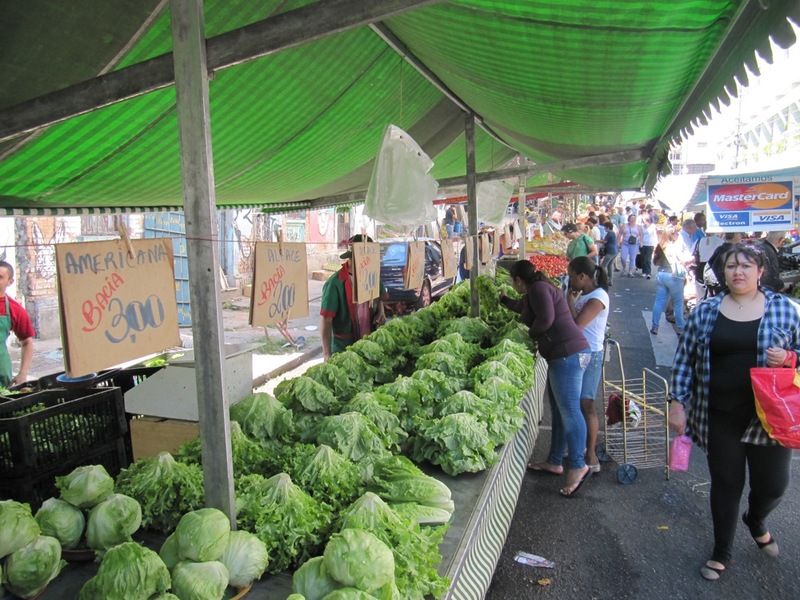 A market along the way from Paulista to the old city center. 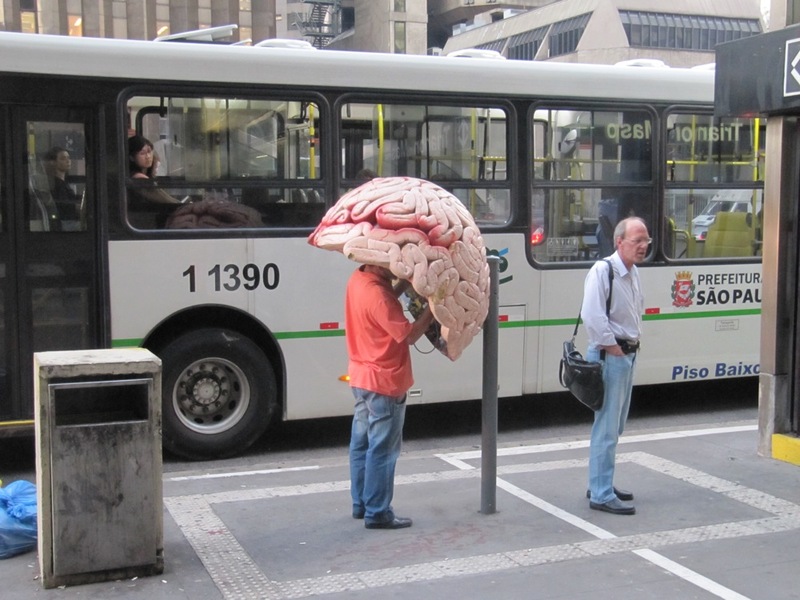 The walk definitely sends you through more typical Brazil. 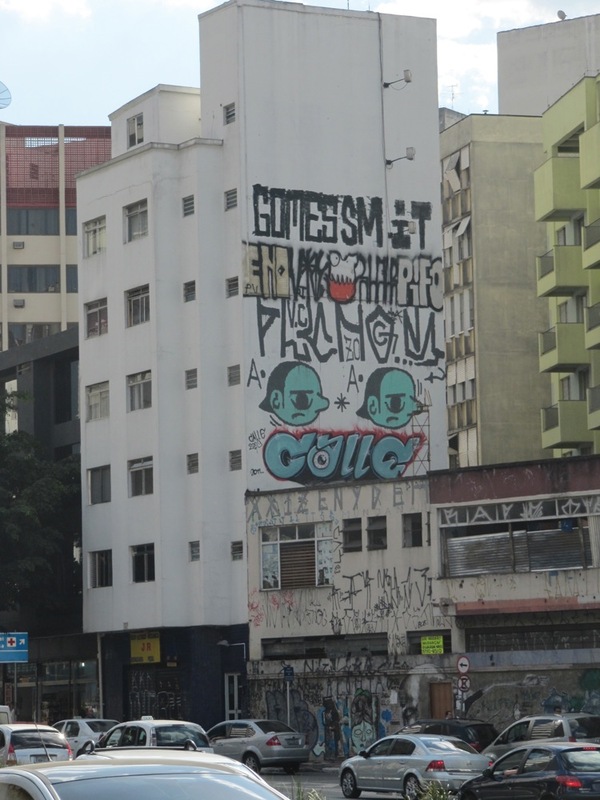 The graffiti problem in the more common parts of São Paulo is something to behold. Seriously, how do they do it? 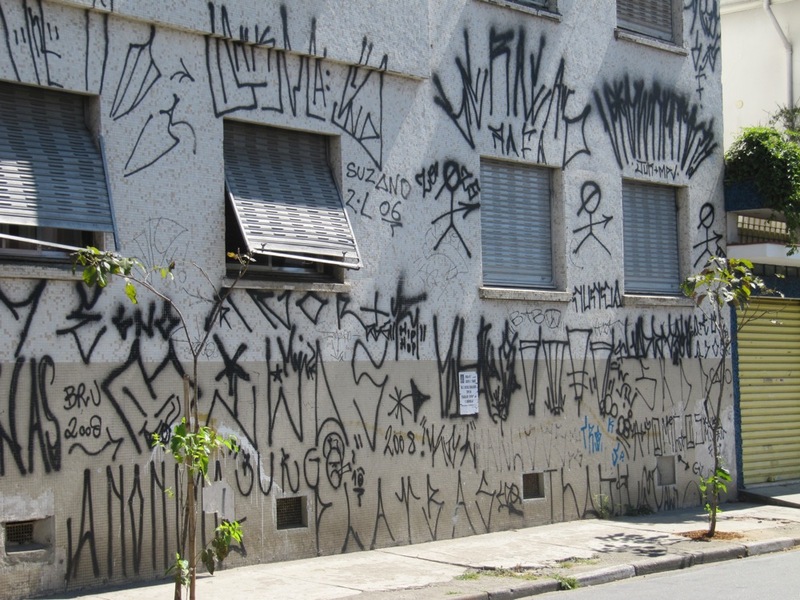 Are São Paulo’s newspapers filled with grisly tales of people dying in graffiti-related accidents? Portuguese is just close enough to Spanish to be dangerous. 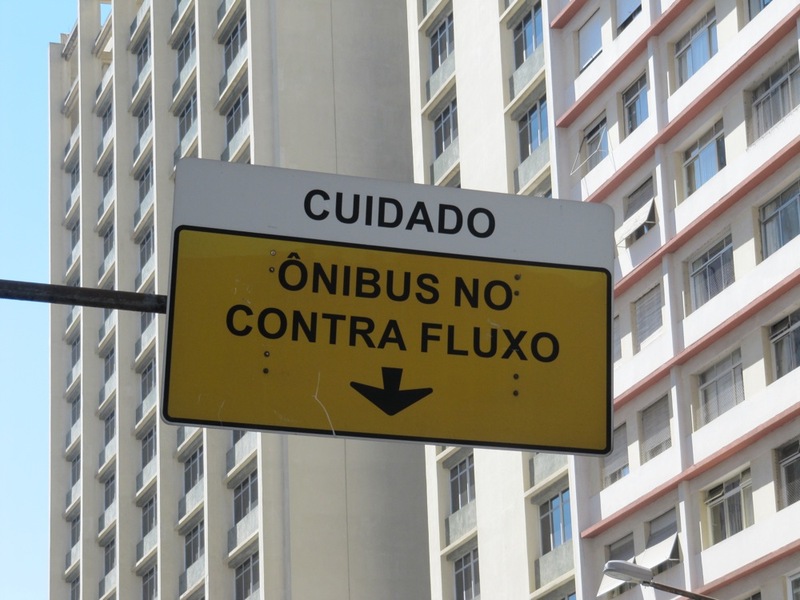 A Spanish speaker would probably read this something like “Caution: Bus does not go against flow”. In Portuguese, it means the opposite. I actually got into a few conversations with people, pushing my Spanish to the absolute limit. They could mostly pick up on what I was saying, but to me it sounded like Brazilians were speaking Italian or something. Difficult to pick up more than a few words here and there. 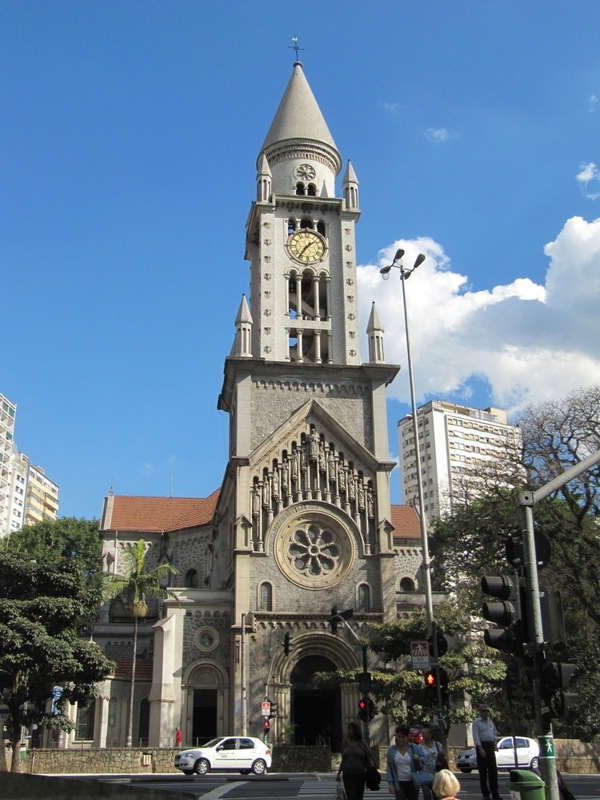 After a few miles of walking, I reached the Praça da Sé, the city’s old central square. 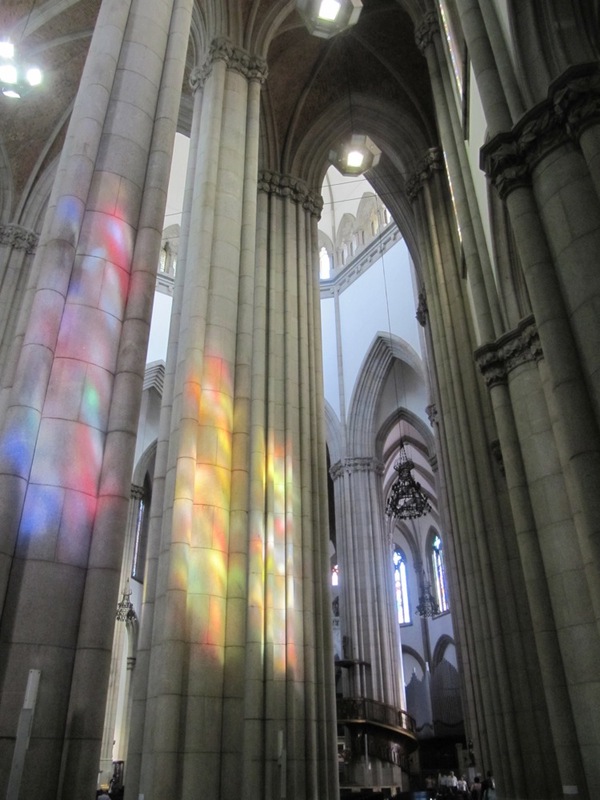 Its centerpiece is this giant cathedral: probably the most impressive I’ve seen outside of Europe. 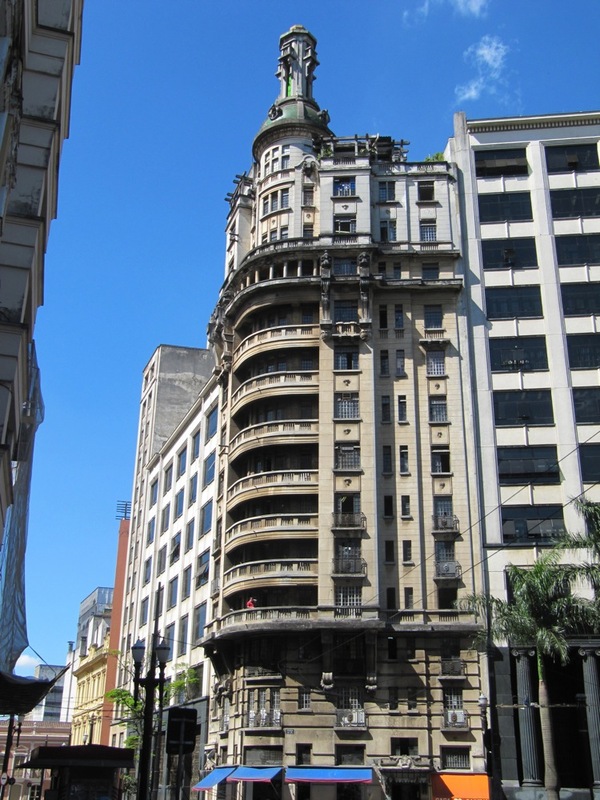 The older part of São Paulo has plenty of beautiful old buildings and big-city feel extending throughout a huge area. A great place to wander around, although sketchy at times. 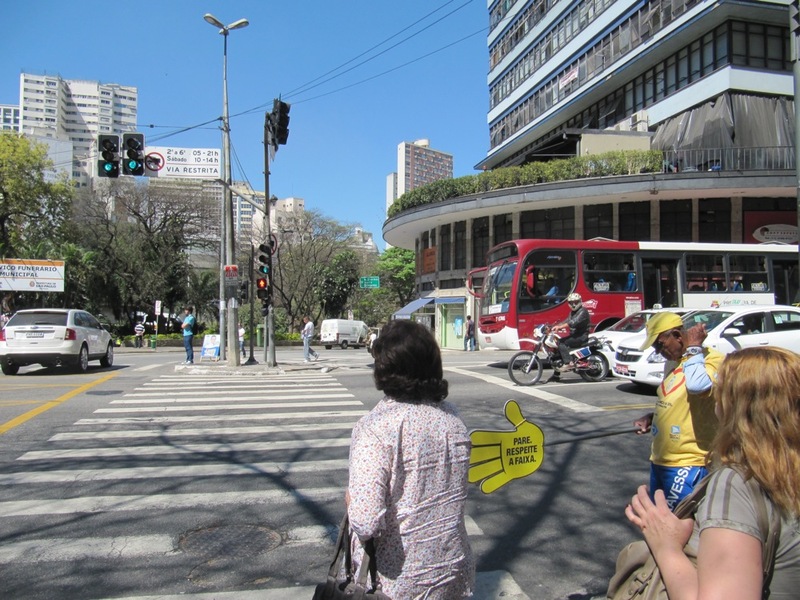 One of my favorite things: at busy intersections, people hold out hands to discourage jaywalkers. 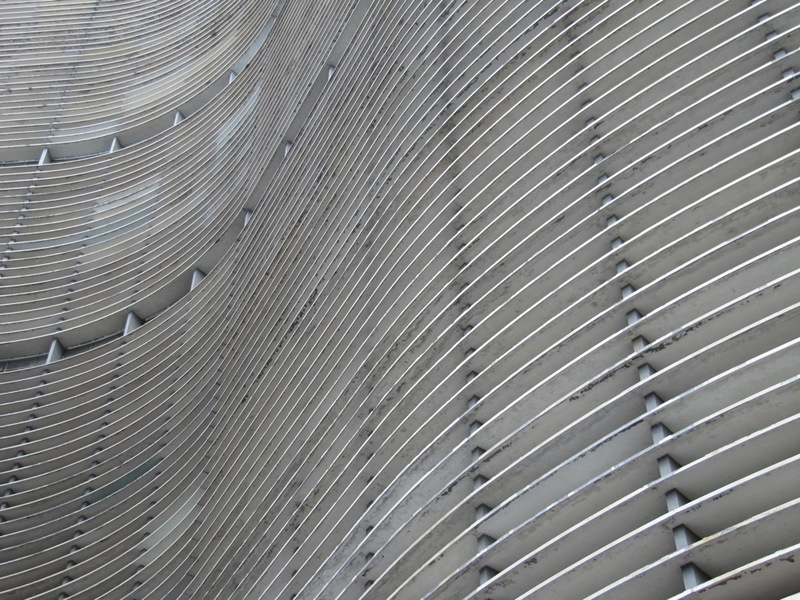 Of course, there’s lots more stunning design and architecture everywhere you look. 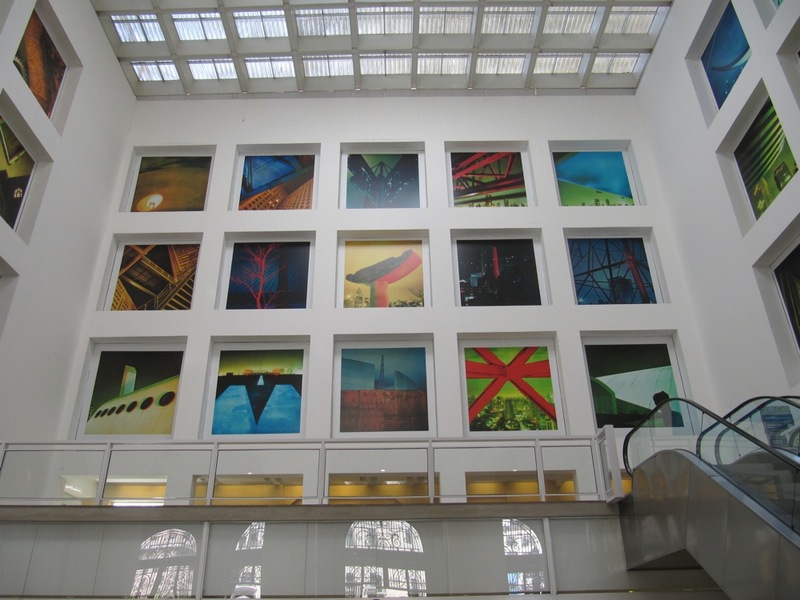 The refurbished inside of the historic post office. 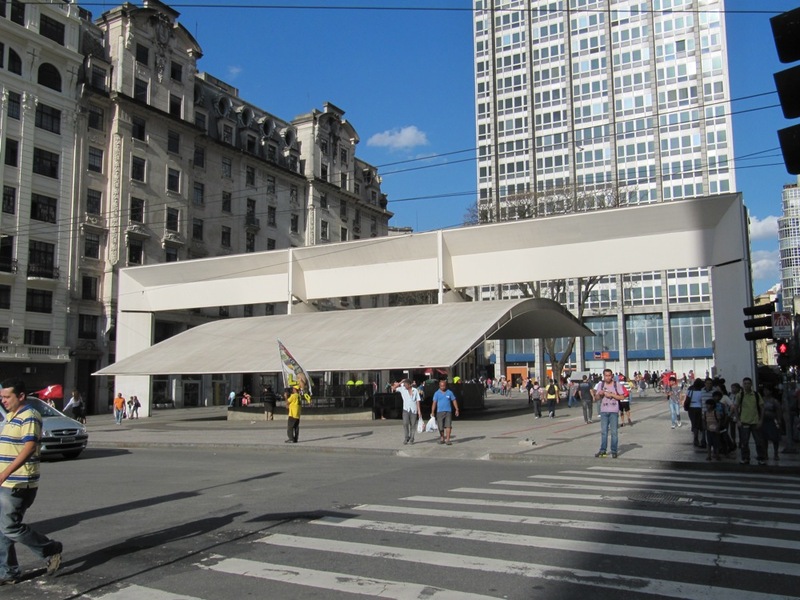 The entrance to a subway station. 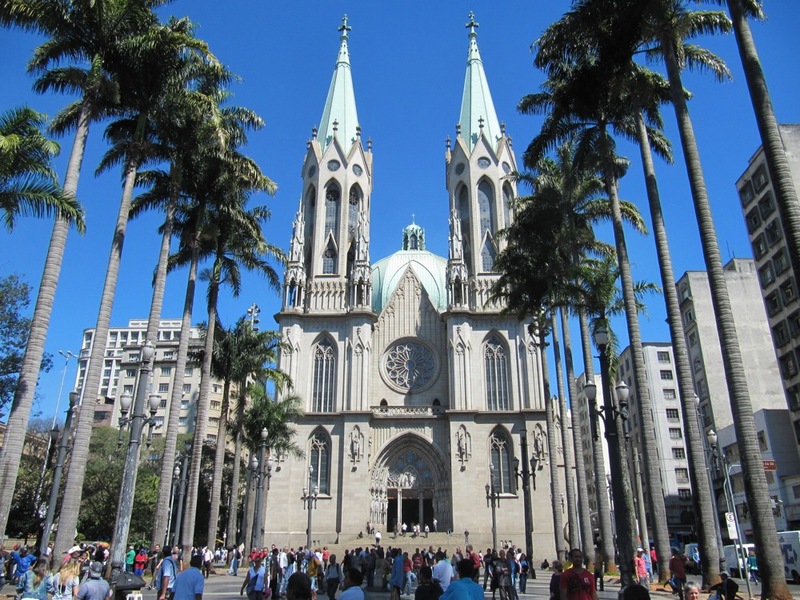 I saw a lot of really cool stuff in Brazil, and definitely would be excited to go back (bring on Rio! 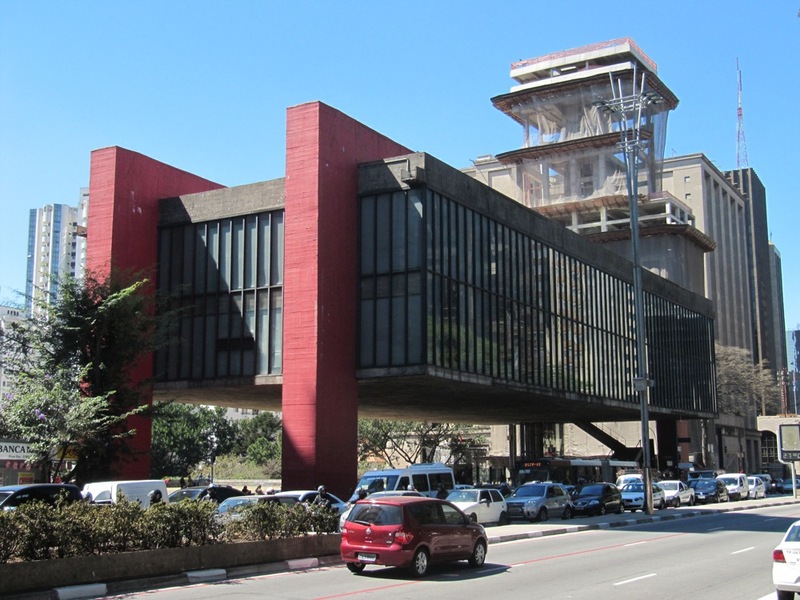 ), but the style and design of Brazil’s public places is what really stuck out to me. We seem to have such a hard time designing good public places here in Atlanta; why can’t we just have Brazilians do the designing? 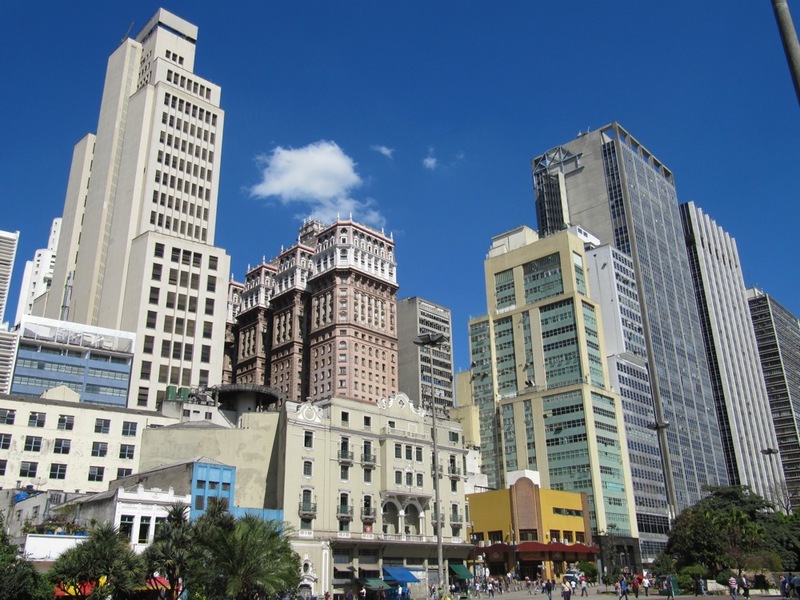 Brazil will get no shortage of attention in the coming years, given the 2014 World Cup and 2016 Rio Olympics. 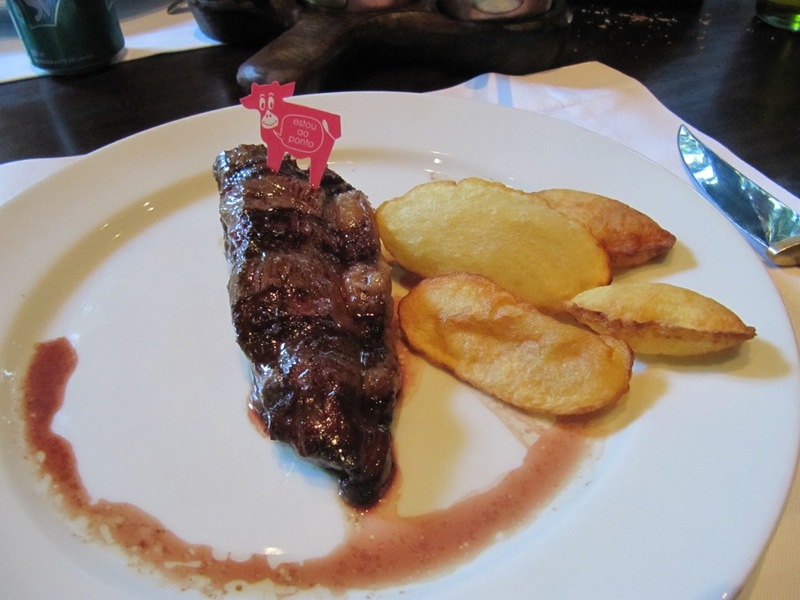 I must say the attention will be well-deserved: I found Brazil to be a fascinating place. 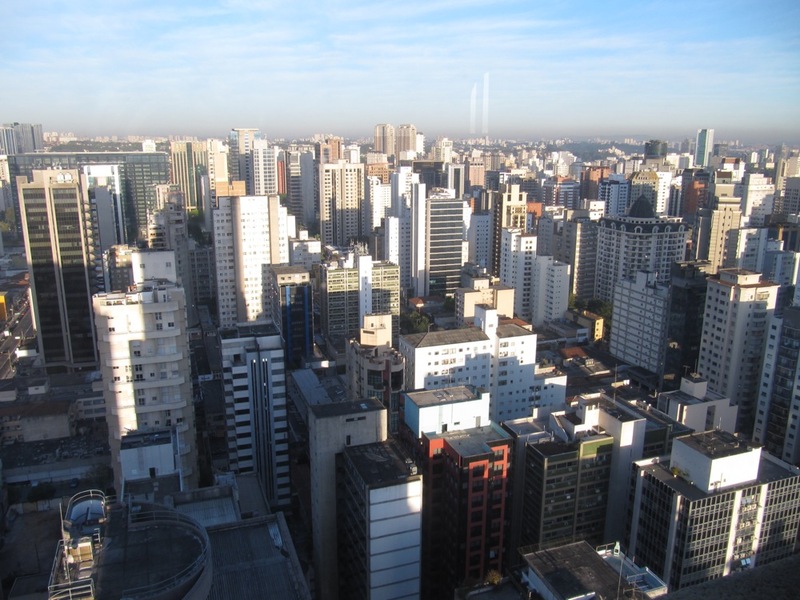 And São Paulo is the place everyone says not to go! 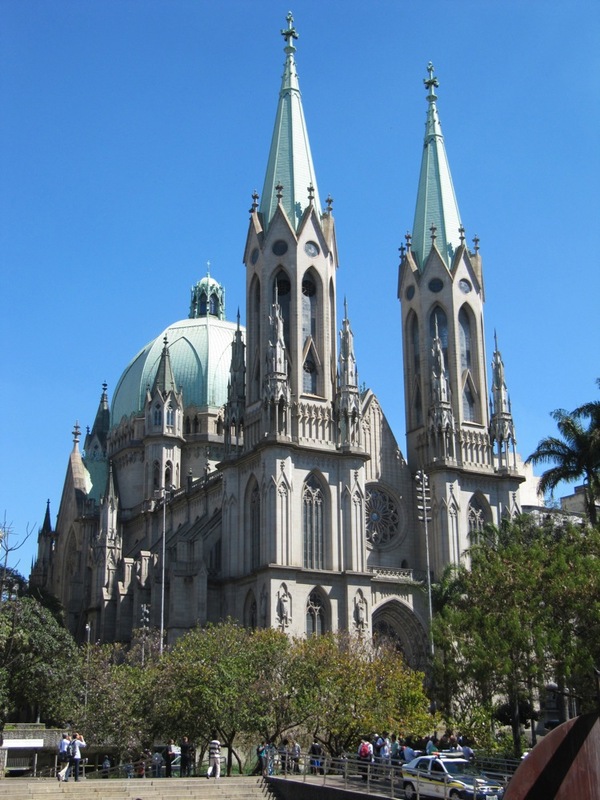 São Paulo may not have tons of attractions like some other Brazilian cities do, but you could certainly do a lot worse. *As annoying as it is to have to get a pre-arrival visa, you really can’t blame Brazil. They simply use visa reciprocity: if Brazilians need a visa to get into your country, you’ll need a visa to get into Brazil. For that reason, citizens of a number of oddball countries can get into Brazil without a fuss (such as Turkey, Russia, Morocco, the Philippines, and Namibia), while people form the US, Australia, and Canada all must go through elaborate visa proceedings. The visa is good for 10 years, as long as your passport is still valid. Unfortunately, my passport expires in 2014.